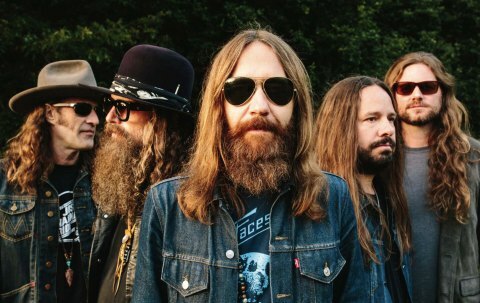 With their new album Find A Light set for release next month, we decided to take a journey through Blackberry Smoke’s discography. Known for their smoky mix of country and Southern rock, the band have been one of the most electrifying acts to hit the scene in a long time. Before that album comes out however, you may be wondering where to start if you’ve never heard of the band. Have no fear – we’ll get you started with five of their best tracks. At its core, “One Horse Town” speaks to following your dreams in a way that feels authentic rather than hackneyed. It’s not uncommon to face expectations from either our parents or friends on what we should do with our lives, and in this case, a father gives up his dreams of becoming a baseball player because he’s expected to stay at home. It’s a heartbreaking tale told with rich details that easily remains one of the band’s best hidden gems. 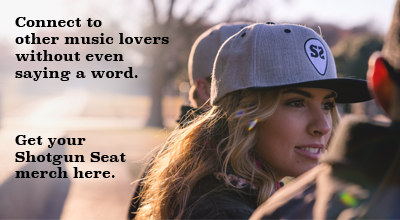 The perfect word to describe this song would be “smoldering.” The spacey, psychedelic sounds paired with a thick groove and gleaming strings makes it feel like a long lost Southern rock classic. It’s also the perfect track for a drifter – describing a journey either for love, fulfillment or some other purpose and sketching out how daunting that task can be. The song speaks for itself. It poignantly depicts a hard-bitten cowboy passing down lessons to his son, and it’s hard not to imagine the father in question being the same one from “One Horse Town,” with his advice to do what it is that makes you happy. Lyrically, this is one of Blackberry Smoke’s best songs. While “Waiting For The Thunder” is from the same album as “The Good Life,” the two songs couldn’t be more different from one another. While the latter track pays homage to the band’s country roots, this track in question sees the band fully embracing their Rock edge. It’s hard not to pump your fist once that ending solo kicks in, giving the song just that extra notch to really explode. Blackberry Smoke is quite the versatile band, and this is a great example of why. Considering this is an introduction rather than a ranking of their best songs (we’d need more than five spots for that), there’s no better first impression of the band than this song. The entire song is just an upbeat, feel good rock-and-roll tune that’s got a fantastic bass groove to it. This song captures what Blackberry Smoke is all about. Curious that none of those five tunes crossed my mind when thinking about the best Blackberry Smoke songs. I’d go with: 1) Pretty Little Lie, 2) Good One Coming On, 3) Six Ways To Sunday, 4) Ain’t Much Left Of Me, and 5) Sleeping Dogs. Hell, they’re all great! It’s like picking a best flavor of ice cream.